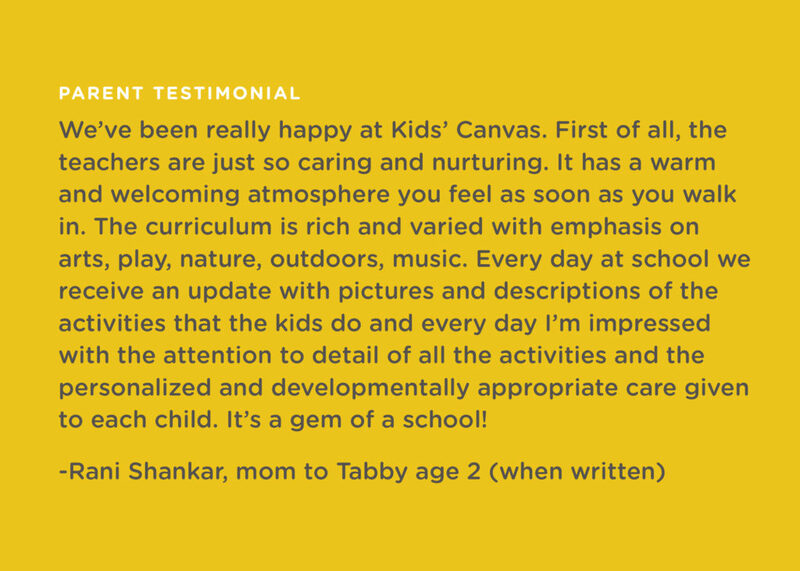 Kids’ Canvas preschool indulges children’s natural need to play, create, and socialize in a warm and nurturing environment that gives a green light to have fun, learn and be creative. 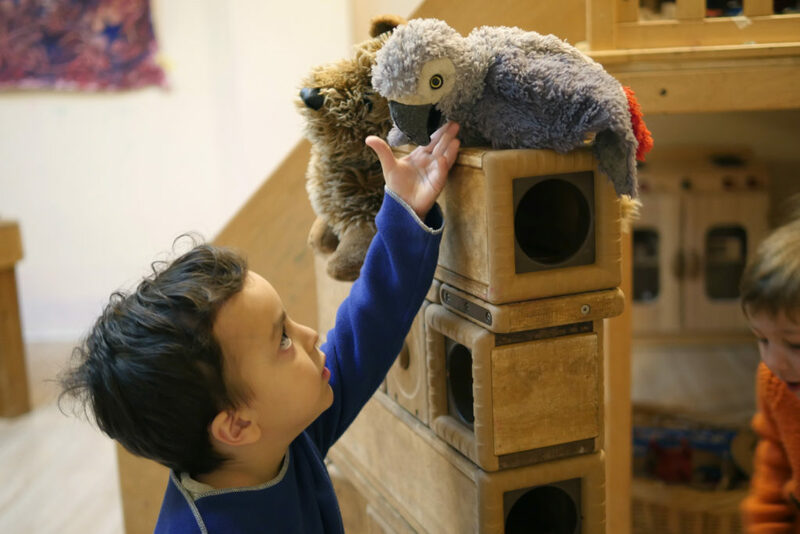 We provide a social environment for children to build and develop relationships with peers, as well as with the material world around them. 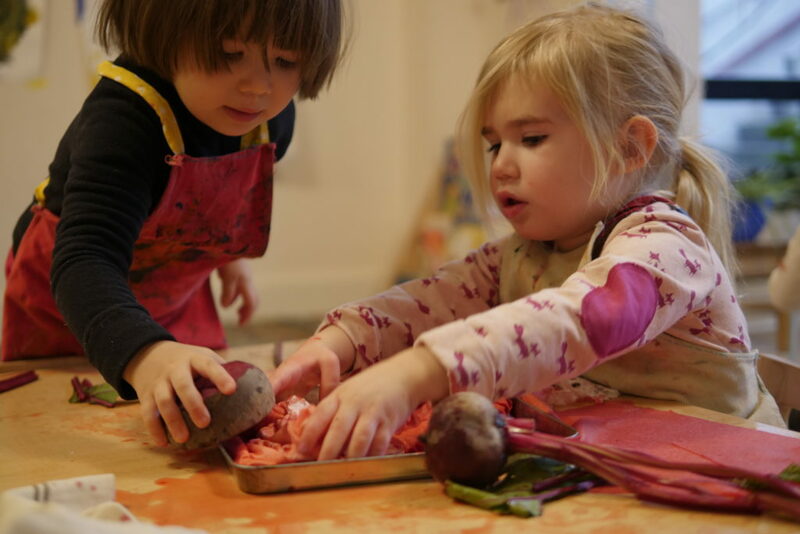 At Kids’ Canvas the teacher’s place is alongside the child, guiding and encouraging exploration, using a variety of media, including art, music, story, theater, movement and nature discovery. 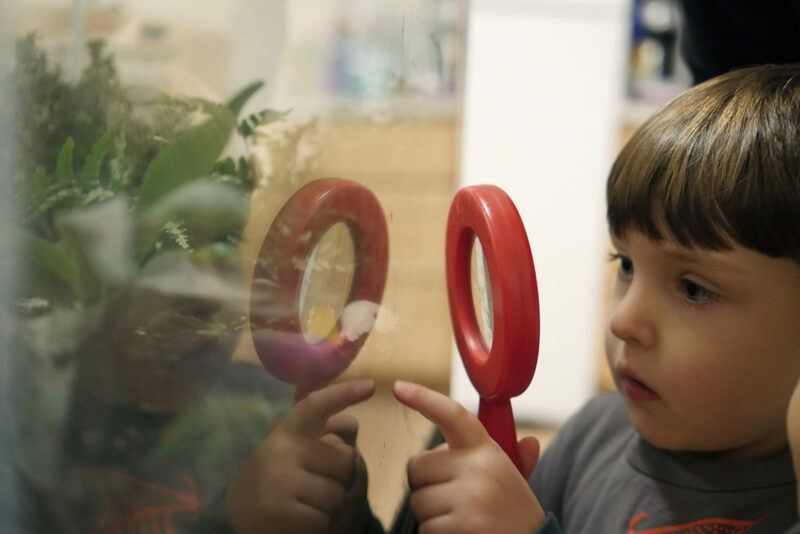 Children explore plot, setting, and character as they begin to notice important aspects of story by flipping through the pages and “reading” the pictures. We aim to strengthen and develop language skills and celebrate preschoolers growing love for language. Children are introduced to a language-rich environment through a variety of literature during group read alouds, and exposure to different languages using interactive storytelling, songs and group games. Each classroom has a library area and children are regularly encouraged to look through books and make meaningful connections about the basics of reading. Children explore plot, setting, and character as they begin to notice important aspects of story by flipping through the pages and “reading” the pictures. Storytelling, poetry, fairytales, and fables further develop vocabulary and spark imagination. We celebrate diverse cultures by singing songs in a variety of languages and exploring the customs associated with these languages, often highlighting the multicultural aspects of New York City. 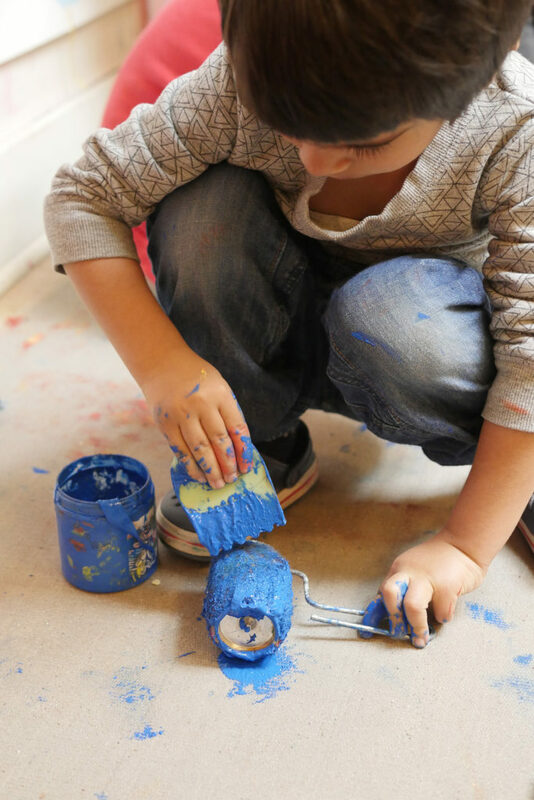 At Kids' Canvas, math is learned through exploration and play. Children sort items by shape and color and make patterns and sequences as they begin to distinguish characteristics such as size, weight and texture in different objects. Matching numbers with objects builds a sense of one-to-one correspondence and the basics of numeracy and counting. They build with Magna Tiles and blocks — using triangles, rectangles and squares to create intricate constructions and explore proportion and balance. 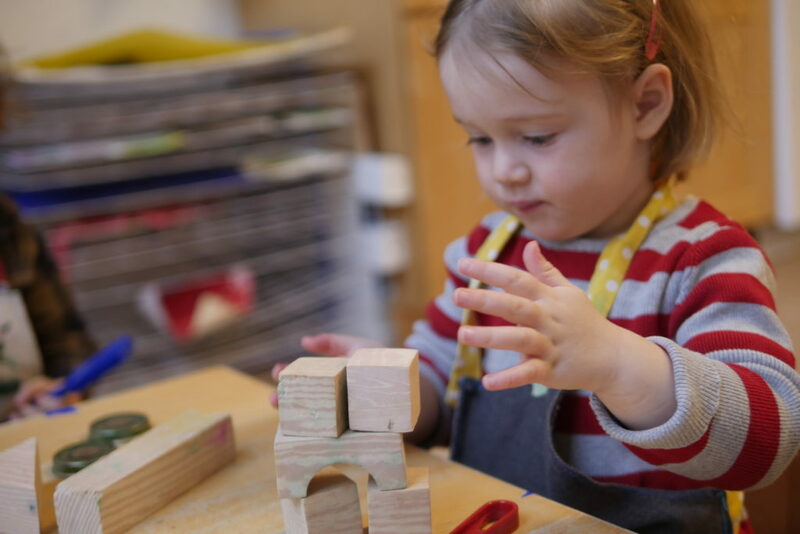 When children play with different size and shaped unit blocks, they develop important concepts about design, function and organization as they socialize, think, and build together. They further develop their math skills by measuring, pouring and comparing receptacles at the sand and water tables. The art projects at Kids' Canvas are centered around material and process. 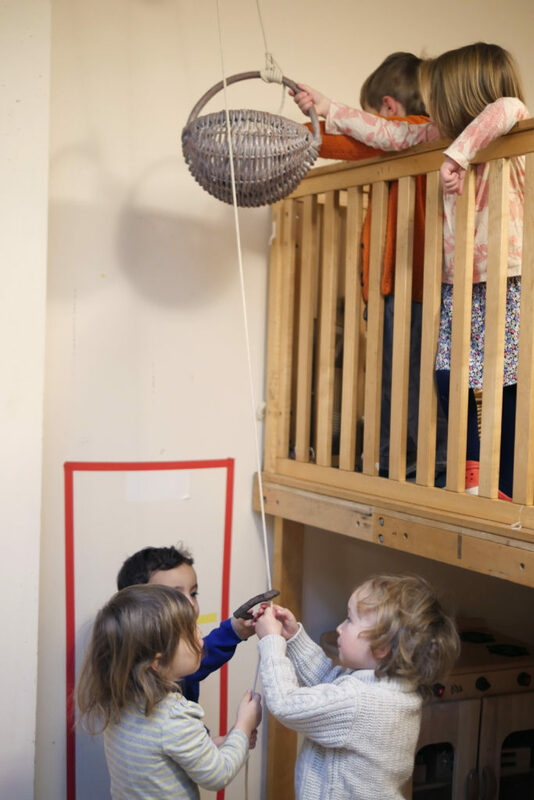 Children are presented with open-ended projects that promote free thinking and exploration. We take in-depth looks into different media and will often experiment with blending materials to create unique and unexpected outcomes. Many of our art projects are collaborative and promote teamwork and the sharing of ideas and processes that inspire fellow students. 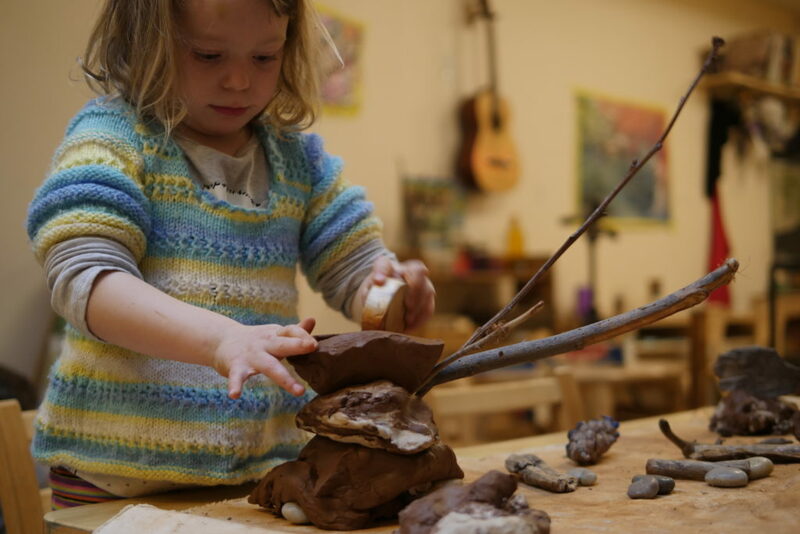 Throughout the year we work on nature-based projects using materials collected outside such as leaves, sticks, pinecones, rocks, and acorns to make our own brushes, sculptures, and even paints. At Kids' Canvas music is a valuable part of our daily routine that helps us carry out our natural rhythm. Singing as a group unites us and assists in preparation for group activities like active stories, dance, and creative movement. By playing different instruments we learn how each instrument works as we explore the fundamentals of music like rhythm, pitch, tempo and how to identify sounds. We often play drums, guitar, rhythm sticks, bells, and shakers, playing together, individually, or in small groups. As part of our study of instruments, children are given the opportunity to create their own instruments to use as they join in the jam. We also use music to help ease with classroom transitions. Our morning Circle Time song brings the group together and helps children prepare for the day and focus on the topic at hand. We also enjoy improvising our own tunes and jingles, often finding inspiration from the children as we collaborate to add to our ever-expanding repertoire of songs. Through singing, we explore new languages and interesting facts about other cultures. For example, our “Hello Song” teaches children greetings in ten languages. Our theater activities and games are open-ended, interactive and inspired by the students. 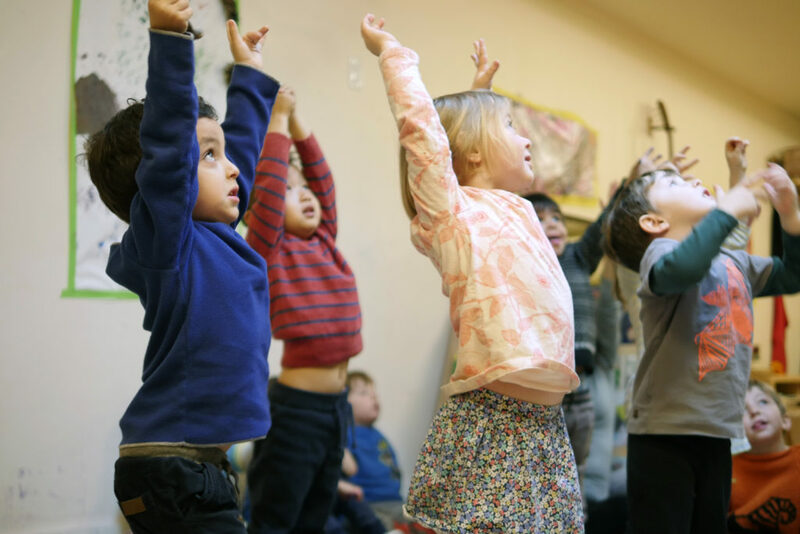 The children use their personal interests and experience as an entry point to learn the basics of creative movement and performance in a joyful, supportive and non-threatening environment. We encourage students to problem solve while creating plots and collaborating with peers during active stories, show-and-tells, improv games, puppetry, storytelling, creative movement, and performances which all help build confidence and celebrate the rich imaginations of our students. We explore science through asking questions, forming hypotheses, and observing the world around us. We often work with the natural world to foster this inquiry. In the spring we care for silkworms and observe their changes from larvae to cocoon to moth. We look into the lives of our snails, and discuss habitat and species, thus inspiring art surrounding these subjects. We work with the earth by planting seeds and caring for them as they grow. Fostering life in this way instills confidence, patience, and responsibility in our students. 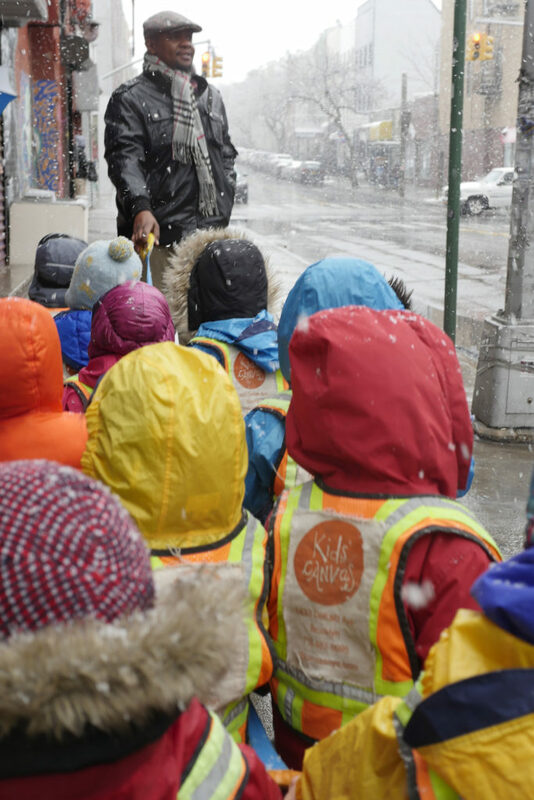 Our approach to the sciences teaches children to think critically and gives them the tools to discover the world from their own unique perspective. Our older students at Kids' Canvas participate in different construction and woodworking projects throughout the year. By focusing on group projects, students learn the importance of process and teamwork as they use small tools like hammers, hand drills, and screwdrivers to help enhance their fine-motor skills. Through woodwork and building, children are given the opportunity to share tools and learn to use them in a safe environment. After completing a project our students feel a great sense of pride, knowing that they have created something unique and tangible alongside their peers. 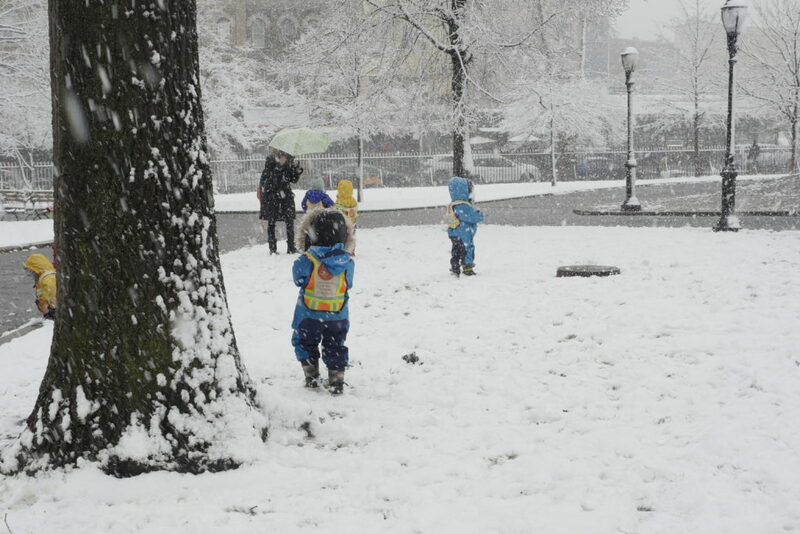 Outside of the playground, we explore the natural world in our parks. Against the backdrop of grass and trees, our children learn to use their imagination when they discover a stick can be a rocket ship or a magic wand. 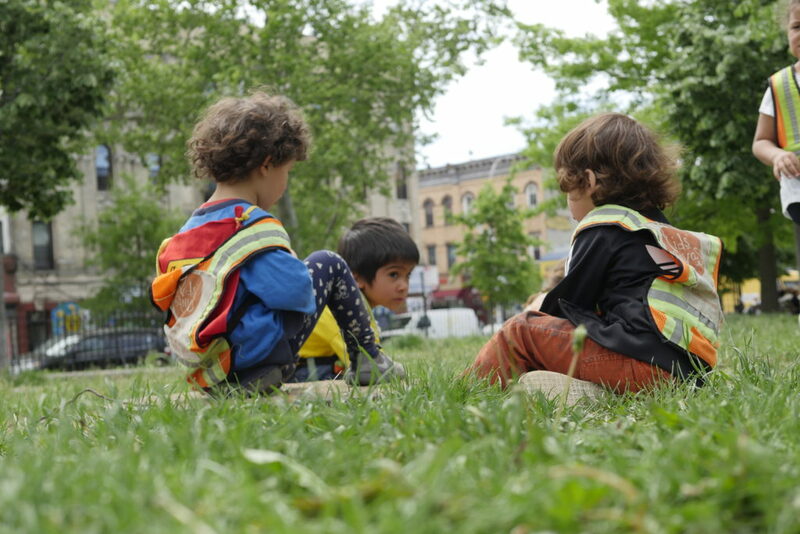 Outside play is focused on exploration, collaboration, risk-taking, and free play. 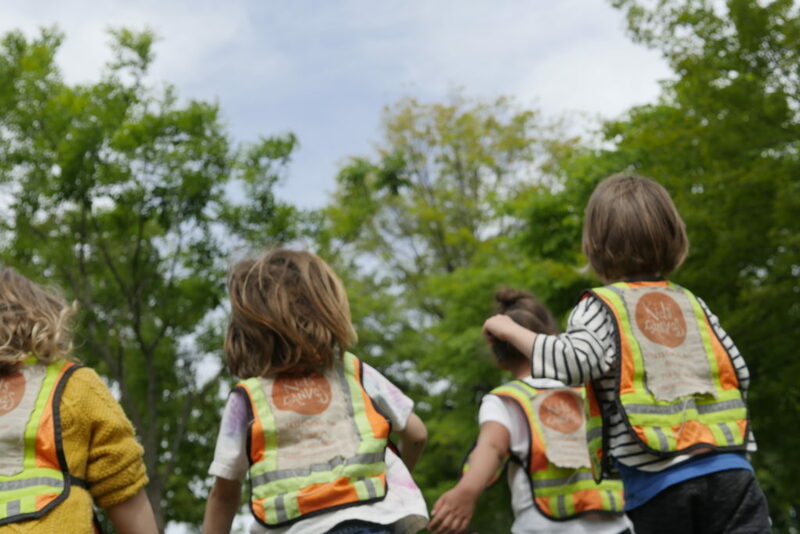 We encourage children to explore the playground on their own or with their peers and to trust their instincts as they build the skills necessary for physical development and social learning. We challenge our students to keep trying when faced with a challenge, fostering perseverance, confidence, and independence. Outside of the playground, we explore the natural world in our local parks. 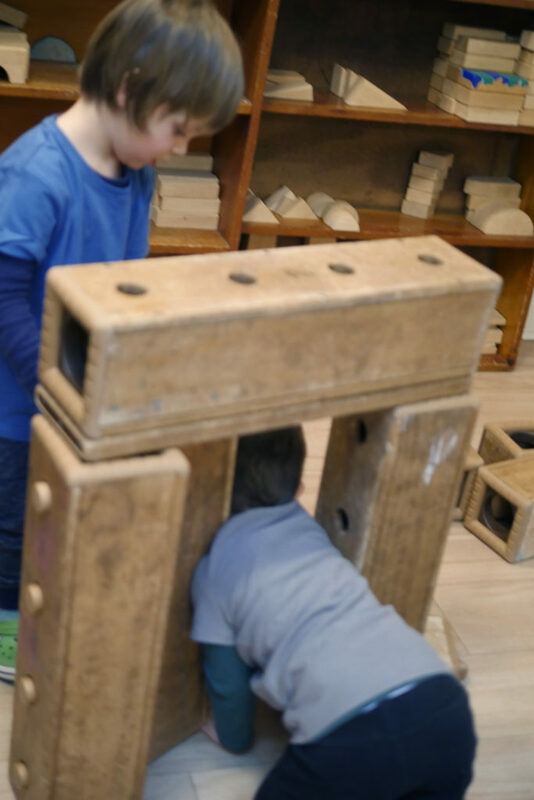 Against the backdrop of grass and trees, our children use their rich imaginations as they play collaboratively with their peers, imagining that a stick can be a magic wand or a rocket ship, discovering whole worlds different from those that exist inside the classroom. At this age, our students are learning how to be self-sufficient. They learn toiletry skills like taking care of their own bodies and washing hands. They practice putting on their own coats and shoes, and keeping things tidy. They learn social skills like how to take turns, use their words to convey feelings or needs, and the importance of being kind and helpful to their peers. It is with these skills that they learn to converse, explore, take risks, play, resolve conflicts, and expand.